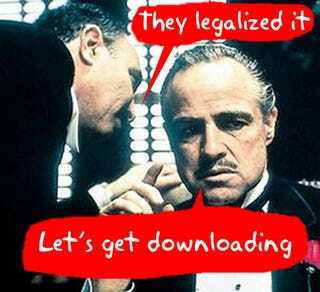 Italian Parliament Legalizes P2P Music Downloads? In what appears to be an embarrassing error, the Italian parliament may have accidentally legalized P2P music downloads. The new law allows Italians to legally share music over the internet, just as long as it is done for non-commercial gain and the music is degraded. The controversy arises from the definition of the word "degraded."